Issue 8 of the BRC Food Food Safety standard will be published in August this year, but companies won’t be audited against Issue 8 until February 2019. Updates to the standard include greater focus and responsibility on the impact of Senior Management in improving food safety systems. Management are required to demonstrate their commitment to continual development of food safety systems through the implementation of a robust food safety culture. Auditors will look for evidence of a strategic plan that allows for review and continual improvement, as well as encouraging employee communication on food safety. • Increased importance and focus during the audit. • Interviews with senior management. • Food safety and Quality Culture and objective setting. • Businesses will be assessed on their ability to maintain and improve product safety and culture within their operation. • The auditor will look for evidence of an action plan indicating how activity will be carried out and measure to improve product safety. • All staff need to have been trained sufficiently on how to report concerns and incidents. • Specific terminology should not be an impediment to demonstrating compliance, ensuring the focus is on achieving compliance to the clauses of the standard. • Auditors are encouraged to focus on the verification of implementation how management assess the efficiency of their procedures. • Clause 3.4.1 has been amended to ensure that safety management systems are assessed in detail at regular intervals – at least 4 audit dates per year. • The Supplier Approval requirements have been reviewed and updated to ensure rigorous controls of raw materials whilst maintaining practical application. 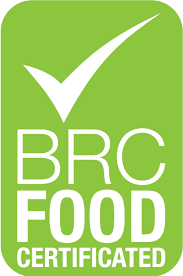 Issue 8 of the BRC Food Safety standard will not be audited against until February 2019, but it is worth familiarising yourselves with the standard to ensure you are compliant before your next audit. For more information on the key changes to the BRC Food Safety standard, submit an enquiry below or talk to an expert on 08450 267 745.